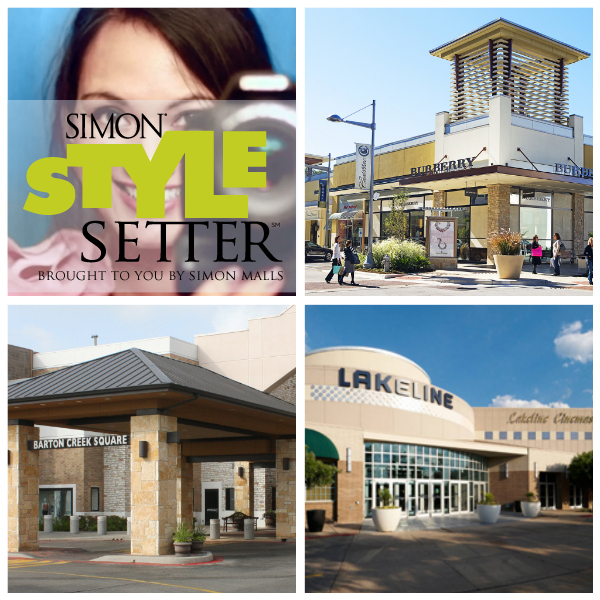 I am thrilled to announce that for the next six months or so, I'll be blogging for the Simon Malls Style Setter blog and covering happenings for The Domain, Barton Creek Square, and Lakeline! I am humbled by how many of you voted for me and promoted the link. Thank you. Truly, it was a surprise to learn I had been chosen for not just The Domain, but also for Barton Creek and Lakeline. I am excited to lend a personable voice to my favorite collection of malls in Austin, and if you're local, let's plan to meet up!